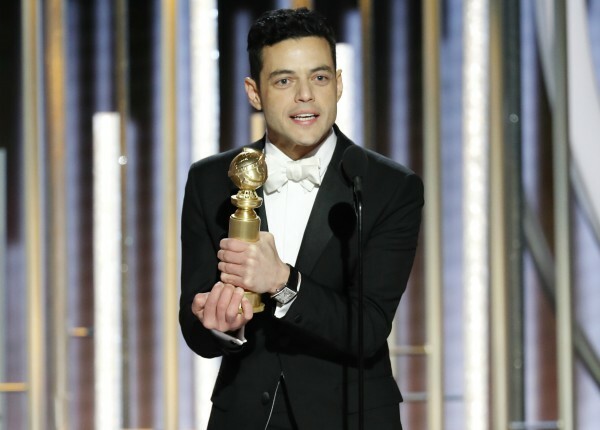 Other prime winners include "Green Book," "Roma"; Best TV series distinction goes to "The Americans," "The Kominsky Method"
Arguably the biggest boost went to "Green Book," Peter Farrelly's interracial road trip through the early '60s Deep South, which has struggled to catch on at the box office while coming under substantial criticism for relying on racial tropes. It won best film, comedy or musical, and best screenplay. "If Don Shirley and Tony Vallelonga can find common ground, we all can," said Farrelly, the director best known for broader comedies like "There's Something About Mary." Though the Globes are put on by foreign journalists, they don't include foreign language films in their two best picture categories (for drama and musical/comedy). That left Netflix's Oscar hopeful, Alfonso Cuaron's memory-drenched masterwork "Roma" out of the top category. Cuaron still won best director and the Mexican-born filmmaker's movie won best foreign language film.